Romantic towns, dramatic scenery and a laid-back Mediterranean lifestyle makes the Cinque Terre an enchanting destination. Indulge in delicious cuisines, hike between charming villages – or simply sit back and bask on sundrenched terraces and recline on pristine beaches. Translating as ‘Five lands’, the cluster of five small towns along the western coast of Italy that make up the Cinque Terre are situated within the beautiful Cinque Terre National Park. 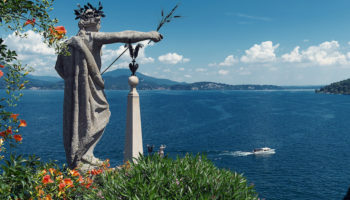 Along with the five famous villages, lesser-known towns that can be found nestled among the rugged cliffs offer visitors an authentic glimpse into life in the Liguria region of north-western Italy and can also be a great place to stay in Cinque Terre. The largest of the five villages that make up Cinque Terre, Monterosso al Mare’s magnificence lies in its rocky beaches and stretch of waterside promenade. The only town for the area to have an ample beach for visitors to enjoy, local fishermen pull up to the shore and sell fresh fish from their boats. This is one of the more lively towns in the area and is known for its welcoming atmosphere as night falls. The town is made up of old and new parts and is separated by the Capuchin Monastery which sits up high on a hill. Monterosso al Mare is best reached by car or by the local railway service. It’s a popular destination to stay in along the coast as it has a wide range of choice when it comes to budget and style and has more of a holiday resort atmosphere than neighboring towns. Hotel Porto Roca – The perfect setting with amazing panoramic views of the Ligurian Sea from its clifftop location, Hotel Porto Roca is a stylish villa at the beginning of the Cinque Terre’s Blue Trail. The hotel boasts its own private beach, where you can unwind on deck chairs under the shade of parasols. There’s also a refreshing pool here, complete with those beautiful views. Plus, the staff are very professional and knowledgeable at this 4-star offering. 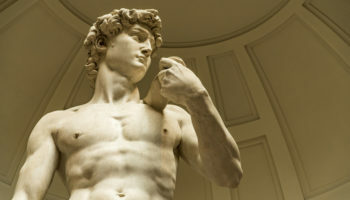 Hotel Villa Adriana – Hotel Villa Adriana is close to Monterosso Station, meaning it’s easy to travel around the other villages and towns of the Cinque Terre region. The hotel itself is located at the end of the promenade, right next to Fegina Beach. From here, you can also easily access the hiking trails that the Cinque Terre is famous for and then return to the simple comforts of your hotel – including an outdoor swimming pool and complimentary breakfast. 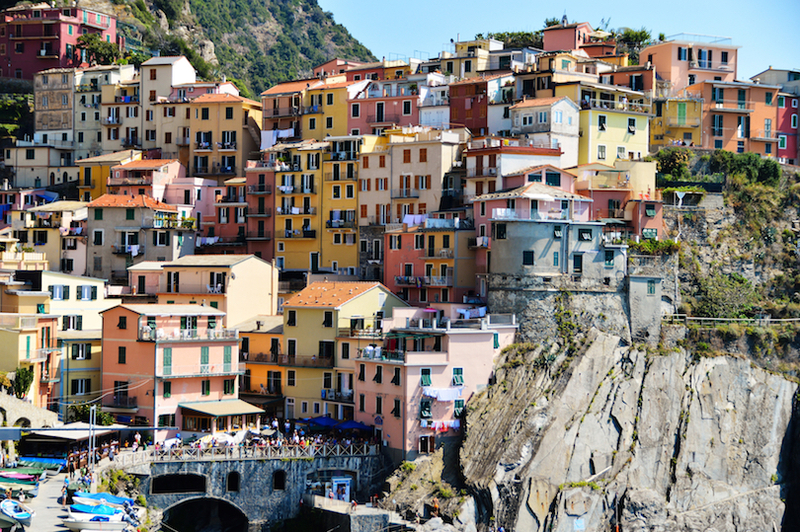 The first of the villages that make up Cinque Terre, after La Spezia is the pretty town of Riomaggiore. Nestled in the valley of the Rivus Maior river, the town is situated along a main street where restaurants and cafes serve freshly caught fish and people sit sipping wine. Take a walk along the town’s tiny back alleys and up narrow steps to where colorful houses are closely packed together. The local railway divides the town making it easy to catch the train to nearby towns; or you can find the start of the hiking route between Riomaggiore and Monterosso. Riomaggiore itself remains a working town and is made up of mid-range hotels that are housed in traditional old buildings. Hotel Villa Argentina – Set on a hill overlooking the village as well as the sparkling sea beyond, you can enjoy an amazing Italian breakfast of fresh fruits and a wide selection of other tasty local food every morning on the terrace – complete with beautiful views. There are also plenty of restaurants nearby, meaning you can sample even more local fare in walking distance. It’s also easy to get further afield, with the train station and access to boats nearby. Car parking is available here, great if you’re on a road trip. 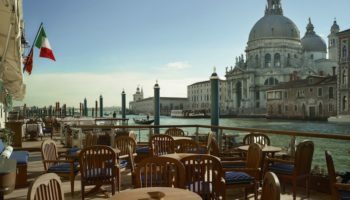 Scorci Di Mare – This hotel is in a great position to enjoy stunning sunsets, but that’s not the only beautiful thing on offer; Scori Di Mare is actually set in a wonderful and superbly historic 14th century building. It’s rustic and traditional – with wood beam ceilings and other original features – allowing for the views to do the talking. From the hotel, it’s just 50 meters to the beach, which is great for those who love to sunbathe or splash around. Plus, the town center and all its restaurants and bars is in easy walking distance. Pleasant Vernazza is listed as one of the most beautiful villages in all of Italy and it’s not hard to see why. 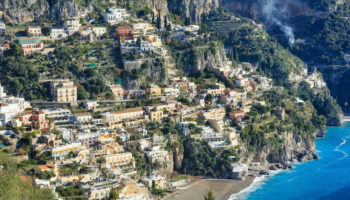 The delightful village is popular with tourists who visit whilst hiking along the coast or just to simply luxuriate in the classically Italian surroundings. It’s centred around the natural harbor where colorful boats bob up and down on the ocean and people enjoy taking a refreshing swim. 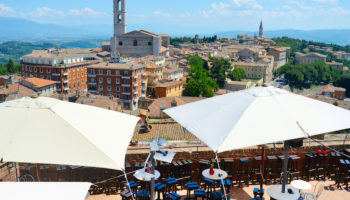 Several bars and restaurants in town edge the piazza where you can sit and listen to the locals chatting and children playing while washing dries over upstairs balconies. Walk the steps up to Belforte Tower and soak up the fantastic views of the village and the harbor. 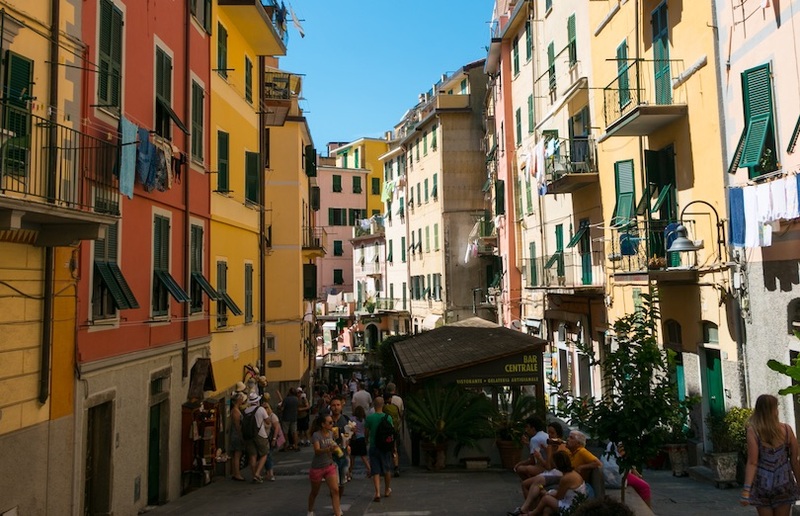 If you want to stay in Vernazza then you can choose from budget-friendly, family-run apartments, and mid-range hotels with sweeping sea views. Hotel Gianni Franzi – Sitting just below the Vernazza Doria castle, rooms at the Hotel Gianni Franzi are comfortable and spacious and come complete with verandas where you can enjoy a sea view alongside some wine and food. On the terrace, the hotel puts on wine tasting in the afternoons! The staff are really helpful here and create a friendly atmosphere, making for a great place to unwind away from the crowds of the town. This 2-star accommodation is actually located near the town square, which is great for exploring Vernazza’s streets. 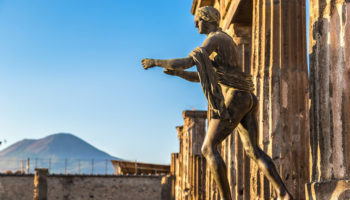 Affittacamere Elisabetta – Run by a helpful and happy owner, this hotel is just one minute from the beach – right on the water itself – and boasts a great view of the surrounding town. The building reflects the characteristics of the town itself, using terraces, colorful walls, shutters, and other traditional touches to make it feel authentic. Everything’s clean and comfortable at this hotel; you can even retire to the rooftop deck in the evening with a glass of wine or two. Manarola is a small village set on the glistening Ligurian sea and is popular with visitors who are attracted there to see the famous sight of houses clinging to the cliffs: the romantic town is said to be the best in along the whole of the Cinque Terre for its beautiful pastel buildings. The colorful village doesn’t have a sandy beach and instead eager swimmers jump from big rocks straight into the deep blue of the sea. Manarola has some interesting cultural sites, such as the Church of San Lorenzo, built in 1338, and the remains of Manarola Castle. The train that cuts through the town line still connects the village to the other sites along the coast, or you can walk the footpath to neighboring villages. 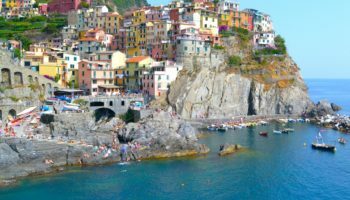 If you want to stay in Manarola then you can book yourself a stylish mid-range hotel with sea views – but the village is very popular and rooms book up quickly. Hotel Marina Piccola – Hotel Marina Piccola is situated at the top of Manarola, meaning uninterrupted views of the beautiful Ligurian Sea. This means both stunning sunsets as well as incredible sunrises. The staff at this hotel are very helpful, always on hand and considerate. The rooms here have all been recently renovated, resulting in clean, modern spaces for you to rest and relax in. For breakfast, they serve up a wide variety of fresh food. Ca’ D’Andrean – Set atop a steep hill up from the train station, there are naturally amazing views from this place, of the surrounding vineyards and of the town below. Featuring helpful, accommodating staff, Ca’ D’Andrean comes complete with comfortable beds and big bathrooms. They’ll even serve you breakfast in the morning amongst the lemon groves for that extra Italian flavor. Boasting a cheerful and happy atmosphere, this simple and loveable hotel is all about living a hearty, carefree, Italian life. Affittacamere San Giorgio – Located just by the tunnel after the train station – so there’s no need to drag your bags uphill – the convenient location of this hotel means everything you need is just on the doorstep. Each room at Affittacamere San Giorgo is spotlessly clean, with lots of thought gone into small design details – there is a minimalist, modern style employed throughout. It also boasts dramatic views of the sea and the cliffs, best enjoyed, of course, from your very own private balcony. Corniglia captivates as it perches up on the hundred-meter-high rocky cliffs of the coast. As an old village in the area without access to the sea, Corniglia is a little more peaceful and relaxing than neighboring towns. The village offers spectacular views of the Cinque Terre and is the only place where you can capture all five of the villages at once. 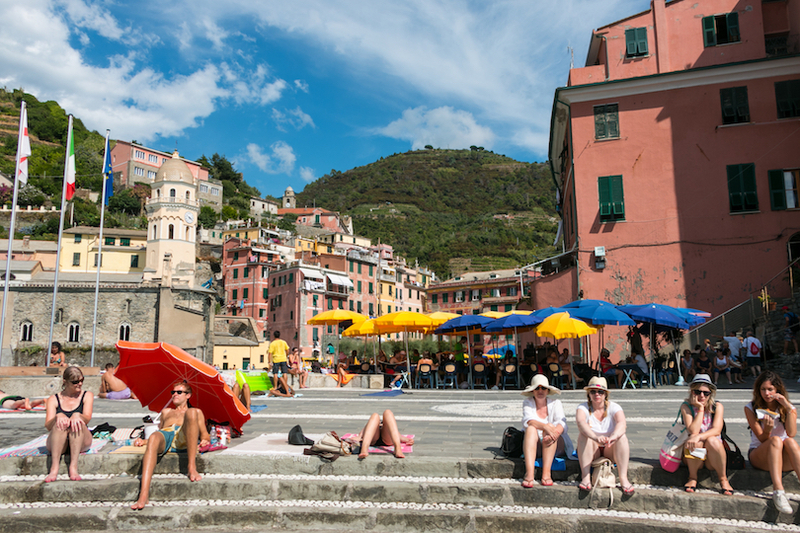 Corniglia train station is down beside the sea which means a hike down all 382 steps from the village in order to catch the train – or you can opt to walk to the next village. If you want a relaxing break where you can sit in the sunshine and devour delicious local dishes while sipping coffee then this is the village for you. Hotels in Corniglia are in the traditional style: low, wide buildings that are found further inland, but with that comes larger windows and large terraces with sea views. Affittacamere Le Terrazze – A quaint and traditional hotel set in a historic old house – meaning big doors, high ceilings and rustic furniture – this hotel offers a selection of rooms, from double bedrooms to apartments complete with their own kitchens. There are some stunning vistas and sumptuous sunsets to soak up as the hotel overlooks the village rooftops. The host at Affittacamere La Terrazze is very welcoming and will give you tips on where to eat and what to do in the area. 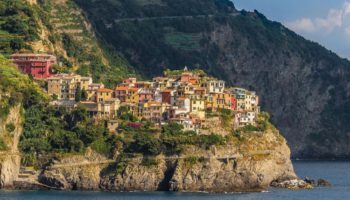 Technically, lovely Levanto isn’t part of the five villages that make up the Cinque Terre, but it might as well be the sixth one. 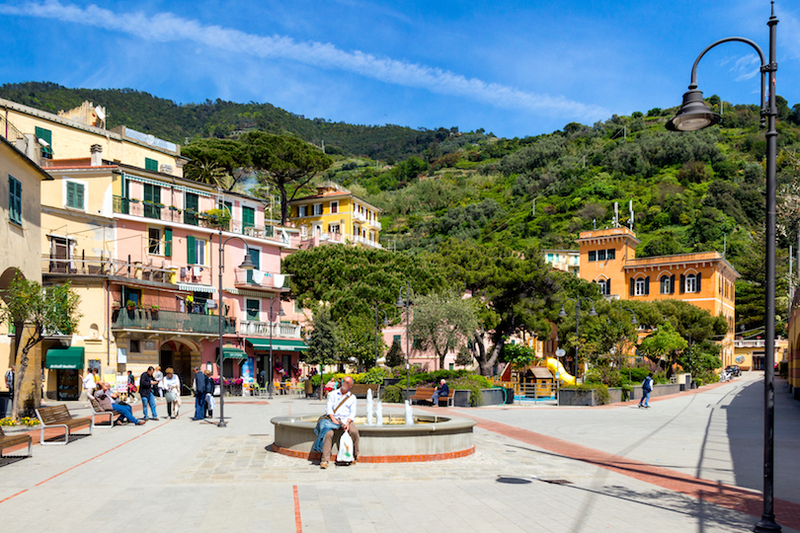 Levanto has a long pebble beach, which is perfect to spend some hours reclining in the summer sunshine before you can choose to start your hike along to the other villages – or simply spend your time in town enjoying the friendly atmosphere. Most people travel around Levanto by bicycle, which you can rent in the town and pedal along the small picturesque pathways to small restaurants, or to the local Wednesday market. The architecture in Levanto is grander than in the other villages and hotels are often larger, and a range from budget b&bs to larger resort hotels are available. Hotel Al Terra Di Mare – Sitting just above Levanto, this eco-friendly hotel is solar powered and surrounded by vineyards and olive trees. Not only do you get idyllic scenery to enjoy – such as panoramic views of the valley – but it’s also conscious about the footprint it leaves on the earth. There’s a swimming pool in the garden here too, where you can sip on drinks or enjoy an ice cream. It’s away from the tourist crowds of Cinque Terre, so this tranquil hotel offers some welcome peace and quiet. Hotel Carla – Modern and chic, Hotel Carla is just 10 minutes’ walk from Levanto Beach and is run by a happy, smiling, local family. The train station is also only a 10-minute walk away too, meaning it’s quite easy to explore the surrounding region from here. Afterward, you can return to this lovely hotel and your own sun-soaked balcony to unwind. Staff will help you plan your next day out, too. Wake up in the morning to the smell of coffee and freshly baked croissants. Portovenere isn’t an official Cinque Terre town, but that doesn’t mean it that it doesn’t have a charm all of its own. 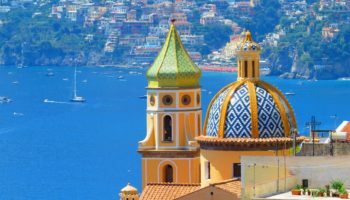 Stuck out on the jut of rocky land the old town is lined with colorful buildings and small streets that lead the way to the Andrea Doria castle with its views across the top of St Peter’s Church and the sparkling sea. You can reach Portovenere by boat, which can be an impressive way to reach the town’s shores; alternatively you can take the train from the station in the town or catch the bus and travel along the coast. But if you stay in one of Portovenere’s gorgeous beachside hotels then you might not to want move an inch! Grand Hotel Portovenere – Luxurious and full of elegant Italian chic, this seafront hotel has a terrace that looks out across the port and Palmyra Island. The building itself is a showstopper; Grand Hotel Portovenere is set in a former 17th century monastery and comes packed with original features like soaring archways, twisting staircases and gorgeous high ceilings for an extra spacious feeling. Everything is decorated with modern touches but giving a nod to the details of the past. Staff offer an outstanding service, so you can just sit back and enjoy the spectacular views. Residence Le Terrazze – A 15-minute stroll from the beach, this apart-hotel has everything you could need to make your stay convenient and budget-friendly. You can make yourself feel at home at Residence Le Terrazze, thanks to self-catering facilities, lounge areas and accommodating staff who’ll help you with anything you might want. Enjoy your breakfast on your own terrace overlooking the sea, then work it all off with a leisurely stroll to the beach. This accommodation also comes with its own pool, for extra relaxation. Hugged between Punta Moneglia and Punta Rospo is a fantastic little village that is ideal for families. The sandy beach boasts calm, clean waters, and is excellent for sunny days spent building sandcastles. The medieval buildings around the village are coated with shades of orange and pink, and many house small shops selling local crafts and pretty Italian restaurants which serve classic italian cuisine; Moneglia is known for its exquisite extra virgin olive-oil and focaccia. Moneglia is accessible by train and is a great choice if you want a little bit of everything that this slice of Italy has to offer: the food, the sun, the sea. The town has some fantastic b&bs, which include balconies with sea views, or you could stay in a hotel for a little more money and space. Hotel Residence Mondial – Conveniently located near the train station, this modern hotel has freshly decorated but simple rooms that are larger than those set in more traditional or historic buildings. Choose from either single or double rooms, or opt for a studio apartment which comes with its own small kitchen. Take in the stunning surrounding views of the seascape from balconies, or big private patios, then head down to the hotel’s gardens for a large, Italian-style breakfast. This hotel also boasts an indoor swimming pool and a Jacuzzi for you to spend some time relaxing in. Piccolo Hotel – With a fantastic location almost on the beach itself (it’s across the road), plus surrounded by a whole host of restaurants to enjoy within walking distance, Piccolo Hotel is also very handy for catching the train to explore the surrounding area. There’s a wellness center at this hotel too, as well as a pool. The rooms here are clean, comfortable and well-maintained. The breakfast served up every morning includes homemade cakes, whilst the dinner is all about fresh seafood dishes. North of Levanto and Cinque Terre sits the small seaside town of Bonassola. 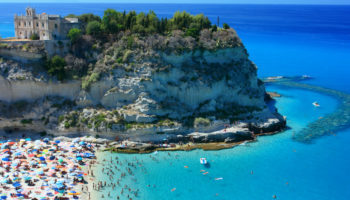 Popular with Italian holidaymakers, the town boasts a small sandy beach that’s busy with sunbathers and adventurous locals who jump into the sea from the large rock at the side of the bay. Bonassola is easy to reach by train or by bicycle and is perfect to explore on foot; along the town’s old streets local ladies play cards and small restaurants serve tasty gelato and fresh pasta. 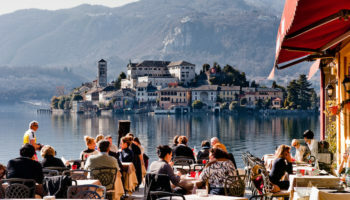 Bonassola isn’t a big tourist hub and staying there would mean you would get a slice of traditional Italian life, where children play in the street and locals stand on street corners gossiping. There is some budget accommodation in the town, but mainly it’s got mid-range hotels located in distinctly Italian buildings. Hotel Villa Belvedere – Hotel Villa Belvedere boasts breathtaking views from the terrace – as well as from your own balcony – so you can enjoy daily views of the sparkling Ligurian Sea. Just a stone’s throw from the beach, but also just up the hill from all of the action in the center of town (which also means the railway station), the hotel is the best of both worlds. It is an oasis of calm with its peaceful gardens, in which you can also enjoy a romantic dinner. The quiet little village of Framura is a haven away from the visiting tourists that come to the Italian riviera during the summer months. Staying in the quaint town is perfect for those who aren’t looking for a lively dining scene or late night bars, but are wanting to soak up local culture and traditions. The village is actually made up of five parts: Anzo, Castagnola, Costa, Ravecca, and Setta. If you are arriving by train you will have to hike up through the various parts of the village. There are a handful of eateries in the village that serve authentic Italian cuisine and are run by local families. Hotels in the town comprise mid-range accommodation with balconies nestled among blossoming flowers and views over the rooftops across the sea. Hotel Augusta – A mere five-minute saunter to the sea, traditional and charming Hotel Augusta features an incredible terrace where you can eat and drink and lounge on the sunbeds all day. It’s a family run hotel and the staff here are kind and helpful. They will serve you up some fabulous Mediterranean food at mealtimes. The location is great since it’s on the coast and quieter than other places. 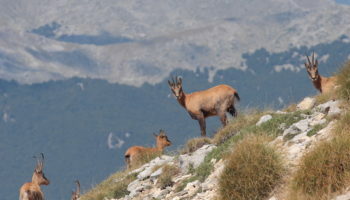 It’s ideal for hiking in the dramatic landscape, or cycling. The train station is also within easy walking distance.